I wrote and pre­sented this feature-length doc­u­men­tary on his­tory, mem­ory, and dig­i­tal cul­ture for Ideas, CBC Radio’s flag­ship pro­gram, in 2012. Dig­i­tal cul­ture has trans­formed the way soci­ety under­stands itself. Infor­ma­tion comes to us unfil­tered, with­out medi­a­tion. Dig­i­tal mem­ory is for­ever. All ver­sions of a story are equal. Van­cou­ver jour­nal­ist Greg Buium explores what hap­pens to knowl­edge in a dig­i­tal age. 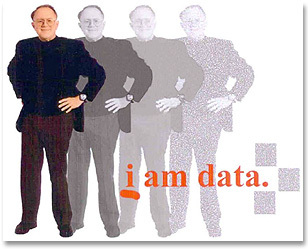 As a prin­ci­pal researcher at Microsoft, Gor­don Bell was paid to record every­thing in his life. And he took it pretty seri­ously. In 1998 he began scan­ning every doc­u­ment that crossed his desk. Every piece of paper he’d ever kept — birth cer­tifi­cates, restau­rant receipts, diplo­mas, office memos, it didn’t mat­ter. Every­thing that went through his com­puter was auto­mat­i­cally logged. Microsoft called the project MyLifeBits. Noth­ing like it had ever been attempted before. Greg Buium trav­elled to San Fran­cisco to get a first-hand look at this col­lec­tion. Gor­don Bell’s project embod­ies the incred­i­ble reach, and the mind-numbing pos­si­bil­i­ties, of the dig­i­tal age. Every day, it seems, experts are telling us what the Inter­net is doing to us. What­ever it’s doing, dig­i­tal cul­ture is trans­form­ing the way we under­stand ourselves.